Every year, usually the 2nd week in December, my daughter and I go to a Christmas Cookie Swap. 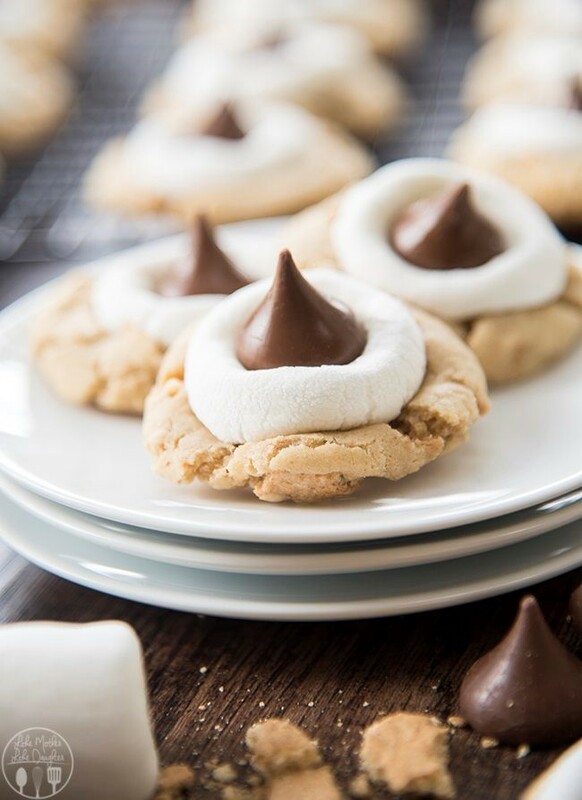 Each year we search and search for the best cookie recipes. The ones below are some of our favorites. 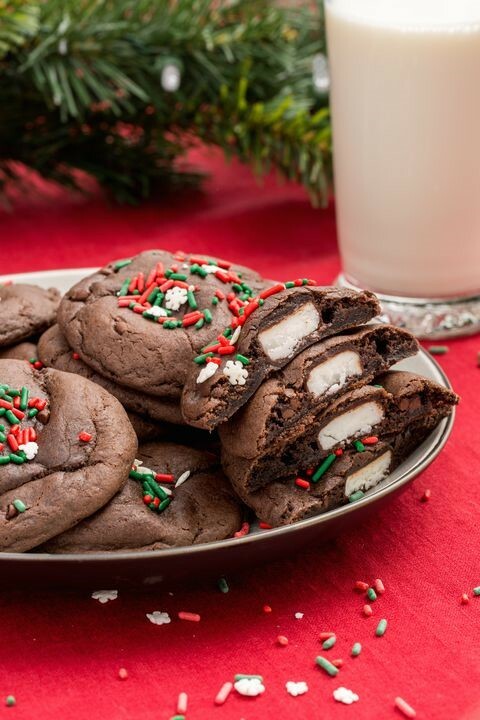 Some are extremely easy and some are a little hard, but all will make anyone eating them think you are the yummiest cookie maker. Happy Baking! Mix together butter and confectioner's sugar with an electric mixer until light and fluffy. Add in egg, salt, vanilla extract, and almond extract. Gradually incorporate flour until well combined, taking care not to overmix. *Place in a cookie press fitted with your choice of disc. Press cookies through cookie press onto a baking sheet, leaving about 1 1/2 - 2 inches between each cookie. Bake for 6 to 8 minutes and then remove from the oven to cool completely. Arrange a wire rack over a rimmed baking sheet. Whisk together confectioner's sugar and milk until well combined and smooth in a small bowl. Once cookies are cooled, dip each cookie into the glaze and place on the wire rack. 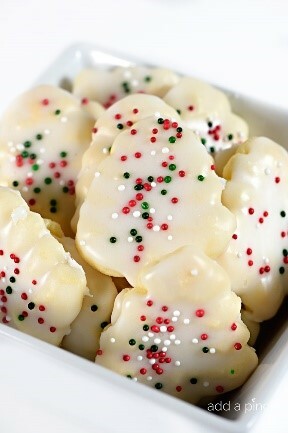 Sprinkle with sugar sprinkles as desired and allow to dry completely. 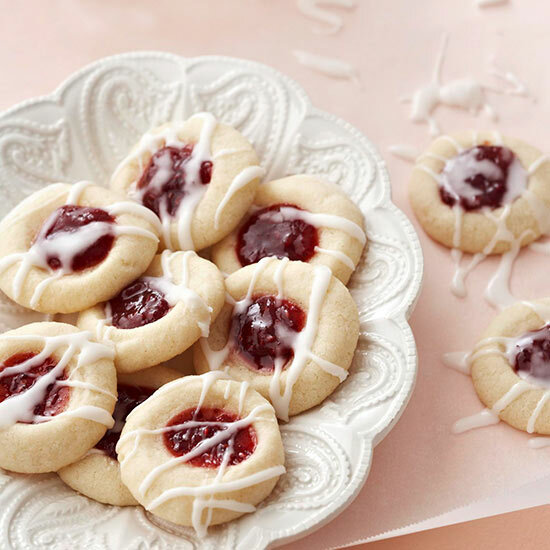 *To make without a cookie press, simply scoop dough by the teaspoon, roll into a ball and place onto rimmed baking sheet. Gently press your thumb into the center for thumbprints or with your palm or the bottom of a glass to flatten and bake as directed. Alternately, you may lightly dust counter with confectioner's sugar and cut cookies with small cookie cutters and bake as directed. Top with sprinkles and bake until cooked through 8 to 10 minutes. Let cool slightly on baking sheet, then transfer to a wire rack to let cool completely. Preheat oven to 350° and grease a cupcake pan with cooking spray. Using an ice cream scoop, fill each well in cupcake pan about 3/4 full with brownie batter. Bake until edges look set but centers still look a little undercooked, 12 to 15 minutes. 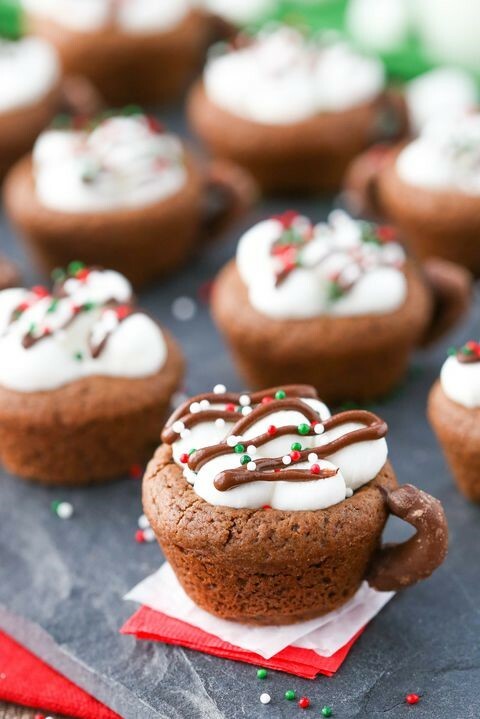 Remove brownie cups from oven and press marshmallows into centers. Return to oven until marshmallows puff and melt, 3 to 5 minutes. Remove from oven and let cool 15 to 20 minutes, then transfer to a cooling rack to cool completely. Once cups are cool, melt chocolate chips in the microwave. 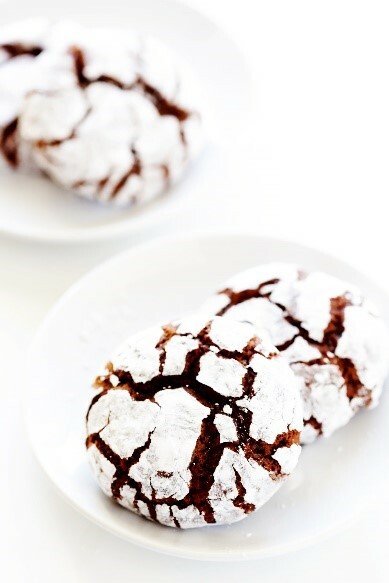 This classic Chocolate Crinkle Cookies recipe is fun to make, super delicious, and perfect for the holidays! In a medium bowl, whisk together the flour, cocoa powder, baking powder, and salt until combined. Set aside. In the bowl of a stand mixer, add the granulated sugar and oil. Beat on medium-high speed for 2 minutes, or until the mixture is light and fluffy. Add in the eggs and vanilla, beating on medium-low speed until combined. Then gradually fold in the flour mixture, and beat on medium-low speed until combined. Once you’re ready to bake the cookies, preheat the oven to 350°F. Line a large cookie sheet with parchment paper. Fill a small bowl with the powdered sugar. Remove and unwrap the dough. Then form the dough into 1-inch round balls. 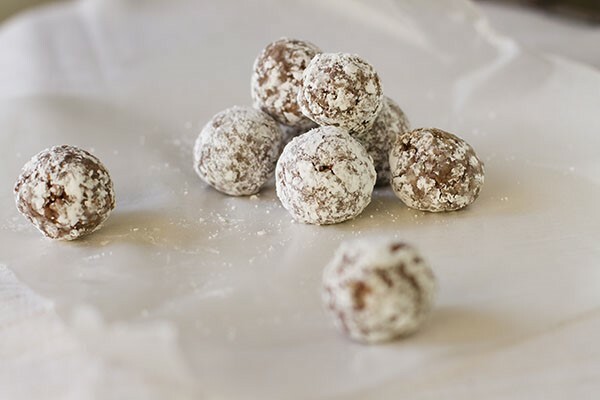 Dip each dough ball in the powdered sugar until it is completely covered on all sides, and then place them least 2 inches apart on the prepared baking sheet. Bake for 10 minutes. Then remove the baking sheet from the oven, and let the cookies cool on the baking sheet for 3 minutes. Transfer the cookies to a wire rack and let them cool until they reach room temperature. Serve immediately, or store in a sealed container for up to 5 days or freeze for up to 3 months. 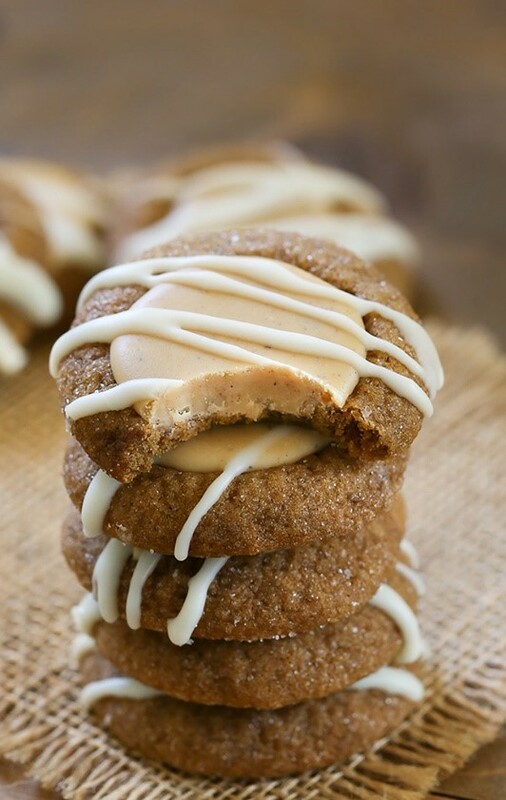 Holiday favorite Gingerbread Cookies with a chewy center and spiced white chocolate filling. Gingerbread Thumbprint Cookies are a favorite for the holiday season and the dough couldn’t be any easier to make. In a medium bowl, whisk together all-purpose flour, ginger, cinnamon, nutmeg, pumpkin pie spice, salt, and baking soda; set aside. In a bowl fitted with a mixer, beat butter, granulated sugar, and brown sugar on medium-high speed; about 4 minutes. On medium speed, beat in molasses until combined. Beat in egg and vanilla extract. Use a spatula to wipe down the sides of the bowl and beat until combined; about 2 minutes. With the mixer on low, slowly beat dry ingredients into wet ingredients until combined. Wipe the sides of the bowl down with a spatula then beat; 1 minute. Cover mixing bowl with plastic wrap and refrigerate dough for at least 1 1/2 hours. Using a cookie scoop, scoop dough. I used a 1 1/2 tablespoon scoop. Cut cookie scoop dough in half then roll each half into a ball. Each ball is mini; about 3/4 inch or about a little more than 1/2 tablespoon of dough. Roll dough into 1/3 cup granulated sugar then place on prepared baking sheet. Place dough 1 inch apart. Using a teaspoon measuring spoon, carefully indent the cookie in the center and press in just to form the center. Don't puncture through the dough to the cookie sheet. Bake cookies about 7-9 minutes. I baked mine for 8 minutes but oven temperature may vary. Using a teaspoon measuring spoon, indent the center of the cookie. Allow cookies to cool before filling. In a small saucepan over low heat, melt white chocolate chips and skim milk. Stir in ginger, cinnamon, nutmeg, and molasses. Working in batches, carefully spoon about 1 teaspoon chocolate mixture into the indent. I had about 50-60 mini cookies. Reheat chocolate mixture as needed to spoon easily into indents. Allow to cool; about 10 minutes. In a small saucepan over low heat, melt white chocolate and skim milk until silky smooth. Carefully drizzle cookies with chocolate. Allow cookies to cool then store in airtight container. 1 cup Land O Lakes® Butter, softened. 1/2 cup raspberry jam or your favorite flavor jam. 2 to 3 teaspoons water. 1 1/2 teaspoons almond extract. Combine butter, sugar and 1/2 teaspoon almond extract in a bowl. Beat at medium speed, scraping bowl often, until creamy. Add flour; beat at low speed, scraping bowl often, until well mixed. Cover; refrigerate at least 1 hour or until firm. Shape dough into 1-inch balls. Place 2 inches apart onto ungreased cookie sheets. Make an indentation in center of each cookie with thumb (edges may crack slightly). Fill each indentation with about 1/4 teaspoon jam. In another bowl add the baking soda, baking powder, salt, flour, and graham cracker crumbs. Scoop 1-inch sized balls onto a cookie sheet lined with parchment or a silicone liner.